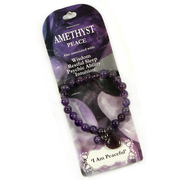 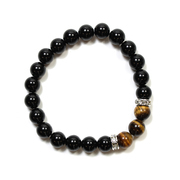 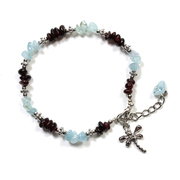 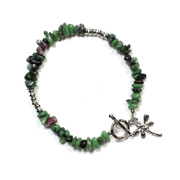 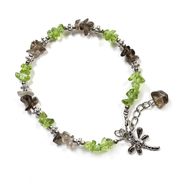 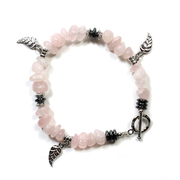 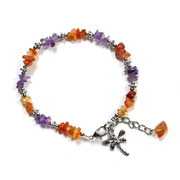 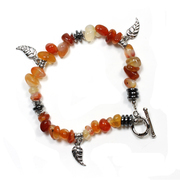 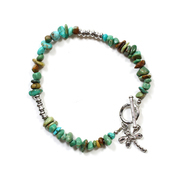 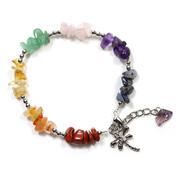 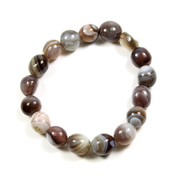 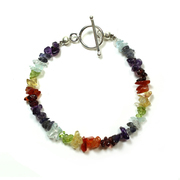 Gemstone bracelets are an affordable way to wear your favourite gemstones, with a choice of over 60 styles and colours, all at pocket money prices starting from as little as £3 each. 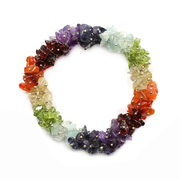 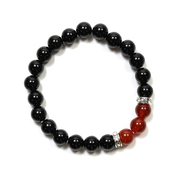 From gemstone chip bracelets to multi-coloured chakra bands, from shining agate to polished hematite, there is something to match any outfit or colour scheme. 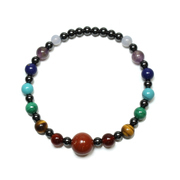 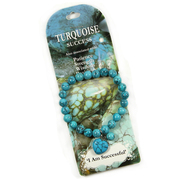 You can even choose therapeutic bracelets from our exclusive Jacqueline Winters collection, which are said to provide healing properties for mind and body. 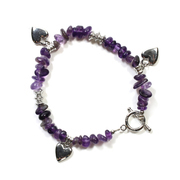 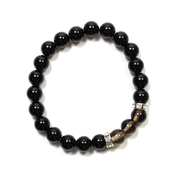 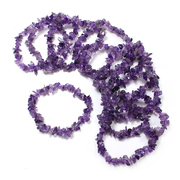 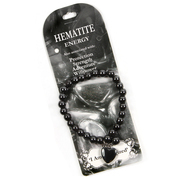 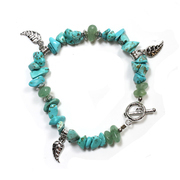 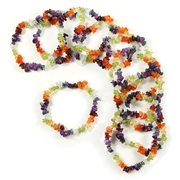 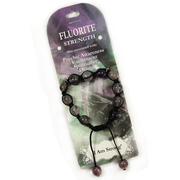 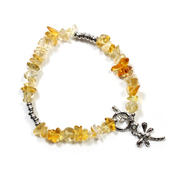 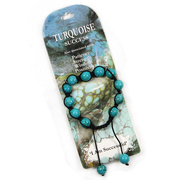 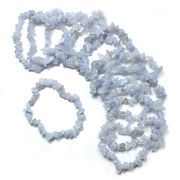 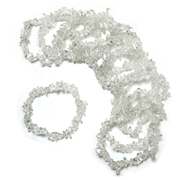 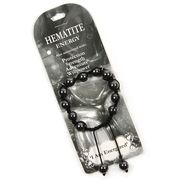 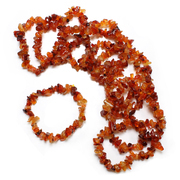 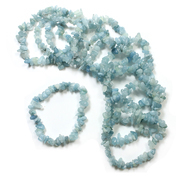 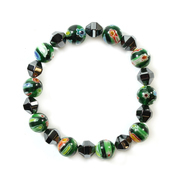 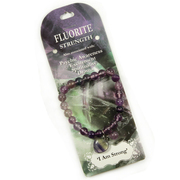 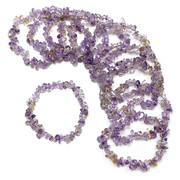 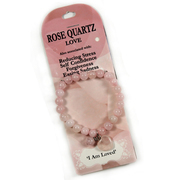 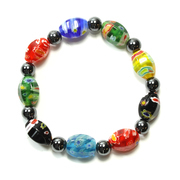 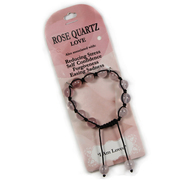 Gemstone bracelets come in a range of fastenings including elasticated bracelets, string tie shamballa bracelets and hoop and bar fastenings.